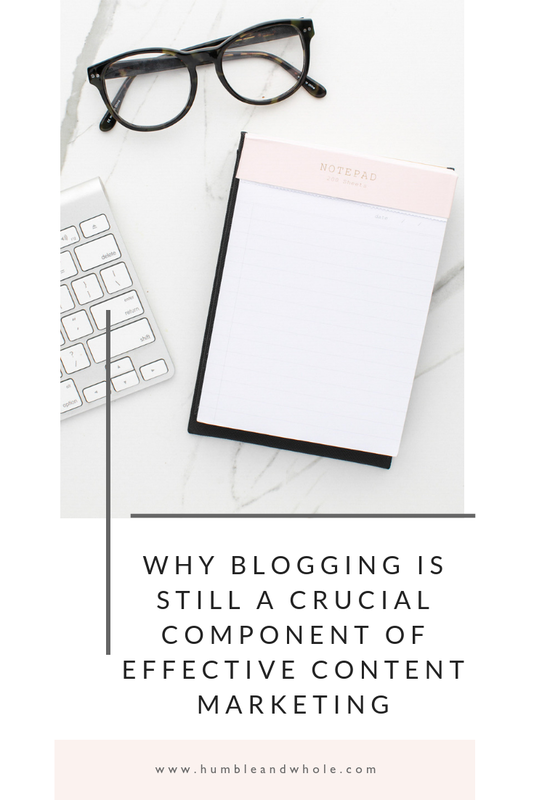 In today’s evolving marketing landscape, with social media dominating more and more of the playing field, it can be difficult for brands to continue to prioritize blogging the way they have been. However, blogging is still a critical component of any successful content marketing strategy, and will continue to be in the future. Traditionally, blogs have been used to promote and establish the thought leadership of a brand within their corresponding industry, and this is still true today. Using a blog to showcase your brand’s authority, unique selling proposition, case studies, etc. acts as a portfolio for potential clients and customers to review before deciding to make a financial commitment to your brand. As the world’s largest search engine, Google now processes of 40,000 search queries every second, on average, which translates to over 3.5 billion searches per day and 1.2 trillion searches per year worldwide. To prove the power of search, the word “Google” itself is now a ubiquitously known verb. The ability to search for information effortlessly has changed today’s marketing landscape, and blog posts now regularly appear on the first page of any search engine query result. Blogging helps businesses get discovered via search and immediately builds authoritative rapport with an audience by answering their most pressing questions pertaining to their product, service, offering or industry. Blogs play a foundational role in supporting the customer journey, leading them from becoming aware of a problem to seeking a solution, discovering an answer and making a decision. What does your target audience need to believe or understand before investing in your product or service? What challenges are they facing that your product or service solves? What content can you share to support them in that decision making process? Blogs provide the perfect canvas for addressing common objections, providing straightforward answers to regularly occurring questions, and acquainting customers with your brand’s expertise, insight and value. Simply put, blogs that address what your potential customer or client would be searching in Google are a must. Although it’s estimated that 80% of web traffic will be centered on video by 2020, blogging will continue to be a mainstay in the content marketing landscape. According to the Content Marketing Institute, small businesses with blogs receive 126% more lead growth than small businesses without the same, and content marketing generates over three times as many leads as outbound marketing - and costs 62% less. Google searches, for example, generate blog posts daily on the front page of search results and 81% of online consumers in the United States say blogs are trusted sources of information and advice. To top that off, 61% of the same online consumers say they have made a purchase based on recommendations from a blog. Customers have grown so accustomed to reading articles as a step in their research process before making purchases and to educate themselves about topics of interest, we don’t foresee blogging diminishing in power or relevance anytime soon. To work with an experienced boutique agency in incorporating a foundation of blogging into your content marketing strategy, reach out to us for a free consultation!